Andrew F. Campbell is Counsel in Ober|Kaler's Financial Institutions Group. He has over 25 years’ experience representing banks, thrifts, holding companies, mortgage companies and other financial services firms. His practice focuses on advising financial institution clients and other lenders in all areas of regulatory compliance, particularly in the areas of mortgage lending and other consumer credit. He also represents his clients in administrative enforcement actions before state and federal agencies and is active in the firm’s mergers and acquisitions practice. 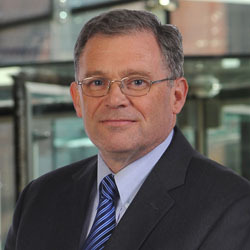 Prior to joining the firm, he began his career at the Office of the Comptroller of the Currency and has served as in-house counsel at both Sallie Mae and Wells Fargo, where he regularly handled complex federal and state regulatory issues involving consumer credit, fair lending, mortgage lending, BSA/AML, and other areas. At Sallie Mae, he represented private education, mortgage banking and financial subsidiaries and served as general counsel to Sallie Mae’s Utah Industrial Bank subsidiary. He regularly speaks at industry events and participates in webinars and other training on regulatory topics. He has developed NMLS-approved educational and training courses for mortgage lenders and loan officers for S.A.F.E. Act compliance, covering traditional and nontraditional mortgage products, predatory lending, and federal and state law compliance issues.